Blazon: A Claymore erect Argent the blade surmounting Water barry wavy of four proper. 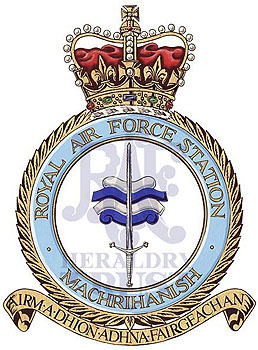 Motto: Gaelic: Airm a dhion adhna fairgeachan – Arms to defend the sea. History: Transferred from Royal Navy command to the RAF on 27 May 1963 and remains current.